Jotting down important details or doodling can be done if only you have a trusty journal. Journals are not only made of paper and cover it should be interesting and should reflect your personality as well. 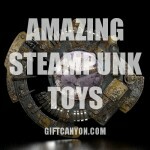 If you are into steampunk genre then you need to check out our top ten finds under this category. 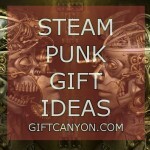 This steampunk leather notebook is a valuable keepsake that can store your precious thoughts and ideas. 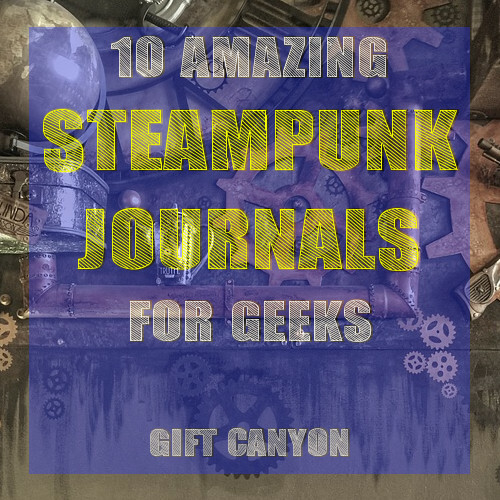 This steampunk journal is a handmade journal that houses ruled pages with a variety of colors and sizes to choose from. 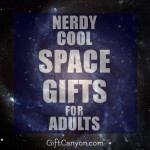 It also comes with a clasp to keep your journal safe and sound. This wired journal would make you feel nostalgic and take you back to the time when you were still young and going to school. This steampunk logo journal is a wired journal with 120 sheets will let you doodle and write the things that you should remember or even vent out your thoughts whether negative or positive just to let you express your writing prowess. Our thoughts and ideas are like precious gems and jewelries that we treasure the most. 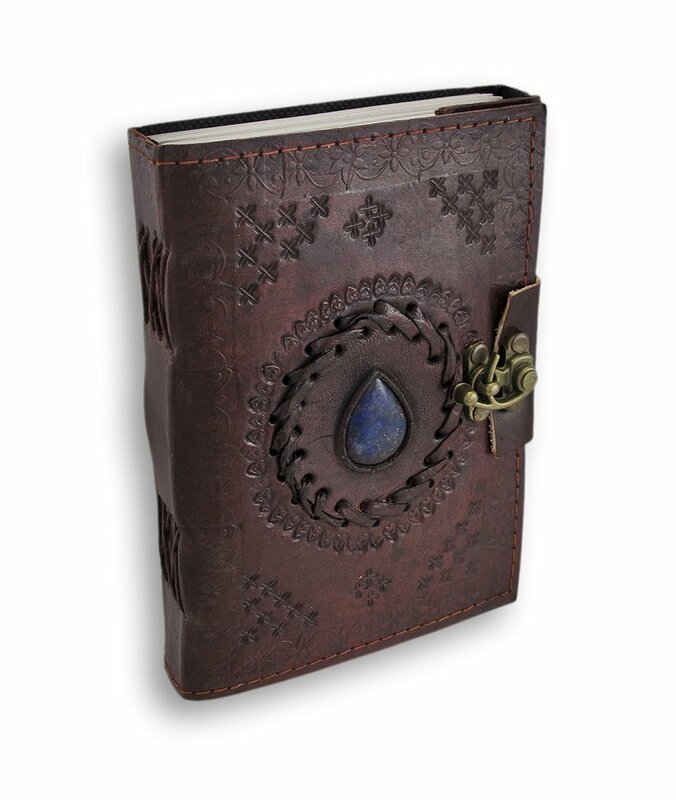 And just like this blue stone journal with clasp, your thoughts are safe and sealed. 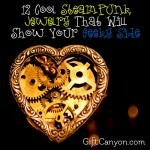 This journal is made of 120 leaf journal with an astounding design with a steampunk design. The remarkable blue stone in the middle of this journal makes it eye catchy and mystical at the same time. The noticeable clasp is there to keep your secrets safe and sound and to keep your thoughts private as you wish. 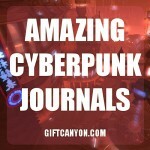 This journal is best for people who likes to keep their agenda private. 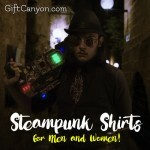 Venting out through writing and doodling can be care free and worry free since you can keep them locked in this steam punk journal with clasp. If you are into some royalty or Victorian era design with a little mix of modern taste then this steampunk notebook would suit you well. This pocket sized journal houses 24 pages that is perfect for your reminders and things to do list. 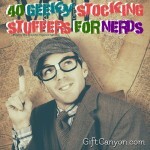 You ca easily slip this onto your pocket anytime and anywhere since it’s only 4 inches by 5 and half. Each of us has different ways to express our feelings and thoughts. Some people are expressive and bursts their feelings out but some would like to keep it low and just write them down using the traditional pen and paper. This plaque mercy journal houses 386 pages to encase your random thoughts and impulse ideas too. 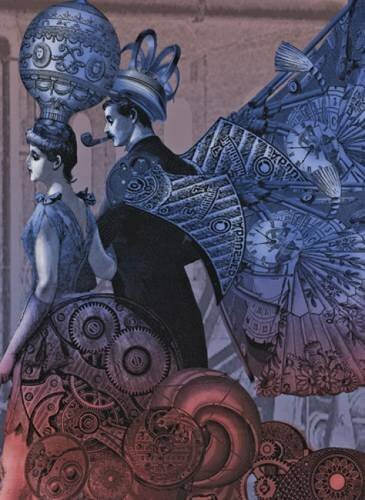 You can vent your heart out all you want in this Victorian themed masquerade cover. 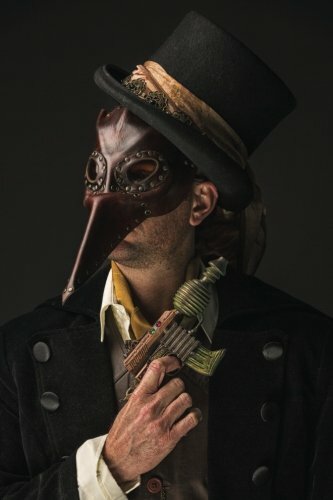 You would feel like being included in a royal masquerade party of the elites. Some of us like to write down our thoughts but would like to write freely without the usual lines that we see in journals. 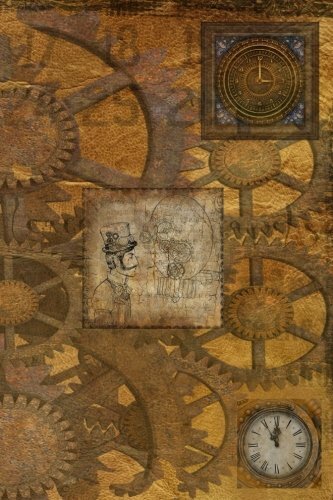 This steampunk unruled journal is composed of 186 pages with an authentic steampunk cover that will keep you feel updated. Feel free to jot down your thoughts or even draw your wildest dreams since this steampunk journal does not have any lines to limit you. 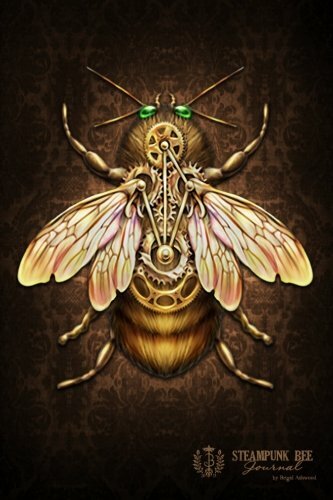 Artist Brigid Ashwood captured the mix of steampunk and the beauty of nature through this steampunk bee journal. This 202 pages is one of a kind since it is ruled on one side and blank on the other. 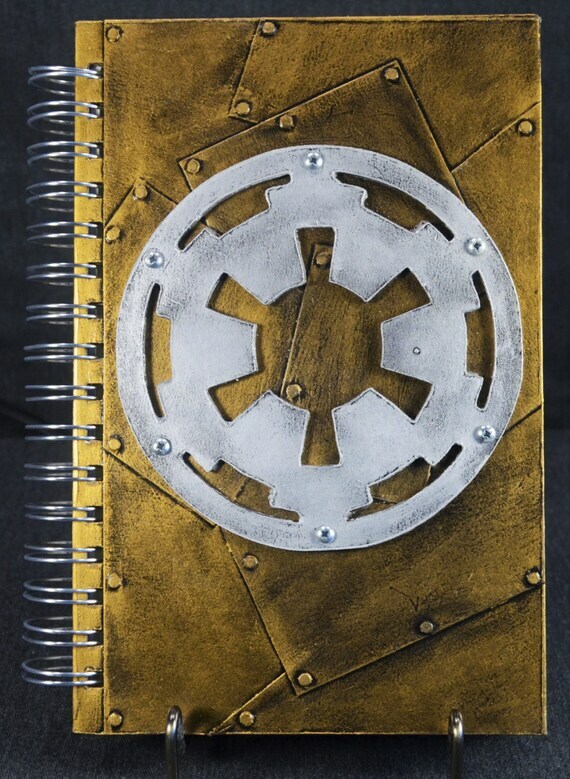 You can write down and draw as you like anytime with this steampunk bee journal. 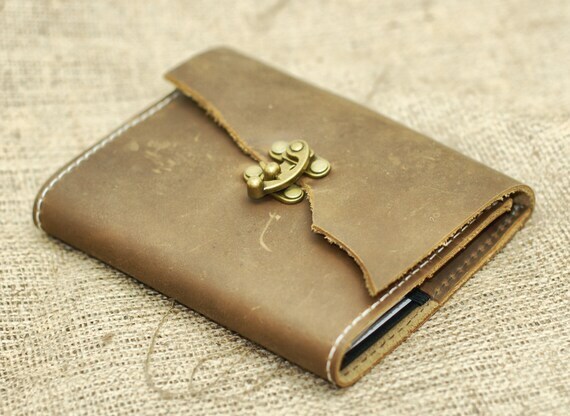 You can save your thoughts while saving the environment too by jotting your ideas in this steampunk recycled journal. 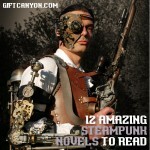 This steampunk recycled journal is made from recycled paper that is 8.25 by 5.75 inches in size. 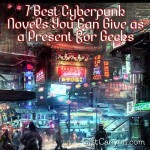 The cover is so stunning that you can feel like being in the zone and would give you more inspiration to your writing. Sketching or doodling is also possible since this cool journal is unruled and the best part is it’s made of recycled paper. 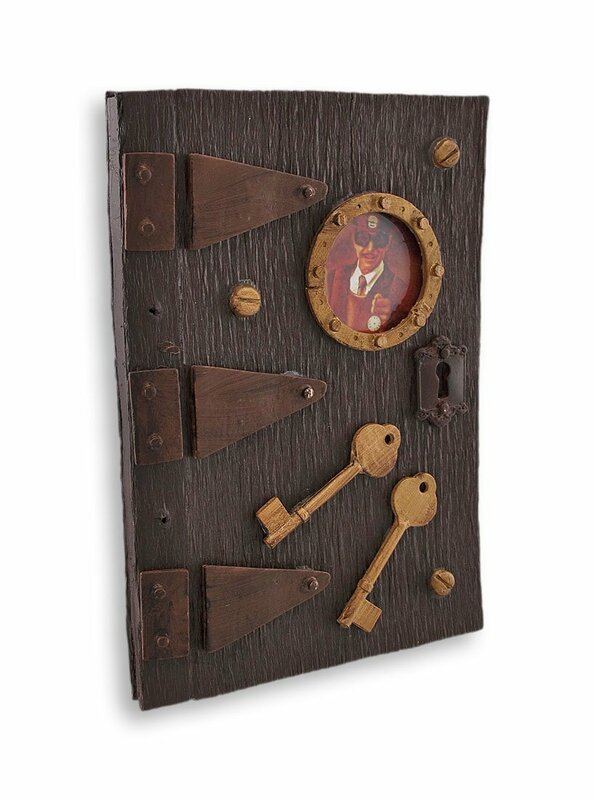 The cover is made from cast resin faux hinges, keyhole lock, antique keys, and a cool lifelike porthole that will surely wow you. This miniature notebook can let you jot down your thoughts without having to worry about your huge journal at home. 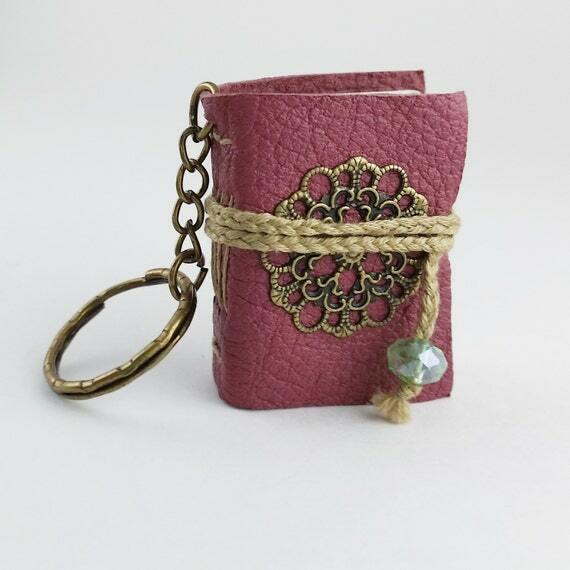 This tiny pink steampunk book which is the same size as a keychain with 40 pages inside can let you put your reminders and even your wildest thoughts in a jiffy. Slide this inside your pocket or even sling it on your bag since it has a tiny size that could also beautify your bag at the same time. We do have thoughts and ideas that we just can’t keep to ourselves sometimes that’s why there are some people who prefer to write them down and keep it safe inside a journal. 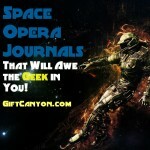 If you are into magic and spells as a theme to your steampunk feel then this steampunk magic journal works best for you. This journal is a ruled notebook with magical spell book cover or your steampunk vibe.